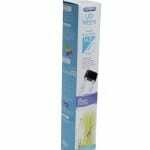 Although the Fluval Sea LED Lighting strip is designed for use in marine aquariums we have decided to trial and review this lighting unit with a freshwater aquarium. 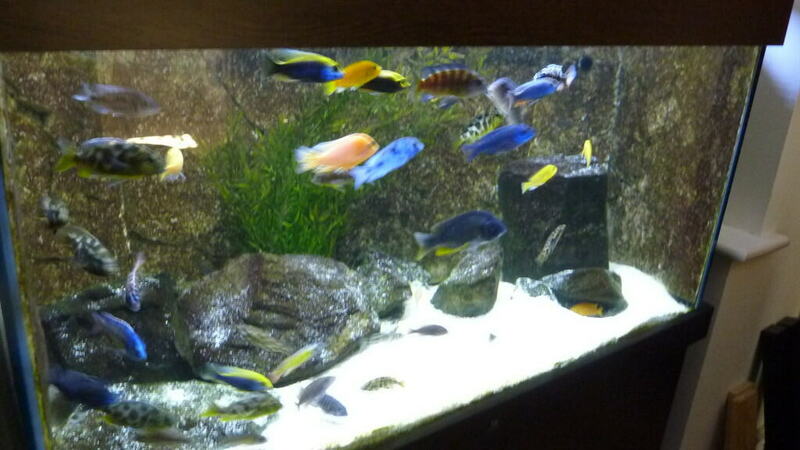 Specifically with African Malawi Cichlids due to the vibrant colours these fish have it was thought that the Fluval Sea LED lighting would bring out the best in them. 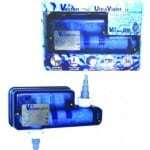 For this review we have used the 120cm version and used it on an ND Aquatics 4ftx2ftx2ft aquarium. 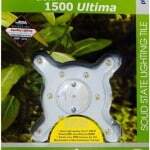 As you can see from the above chart, the 120cm version of the Fluval sea LED lighting strip has a huge 692 LED’s in it. The LED’s are not all the same type but made up of 6 different types. 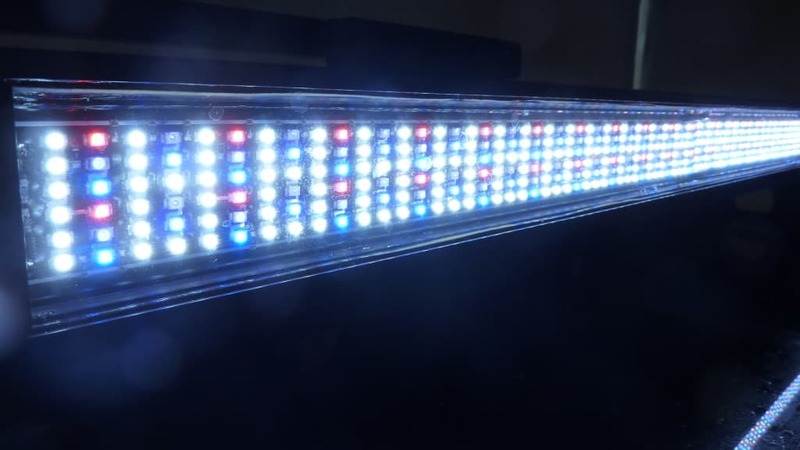 The 6 unique LED band widths on the Marine & Reef Performance LED strip light are perfectly developed to support strong coral growth and condition, we cannot comment on how good this LED light is for corals due to testing it on a freshwater cichlid aquarium as previously mentioned. The 120 degree light angle of the LED’s is great and does mean that in our case we were able to mount the LED strip around 6 inches above the water level and all areas of the tank are covered so only 1 strip was required for our tank. 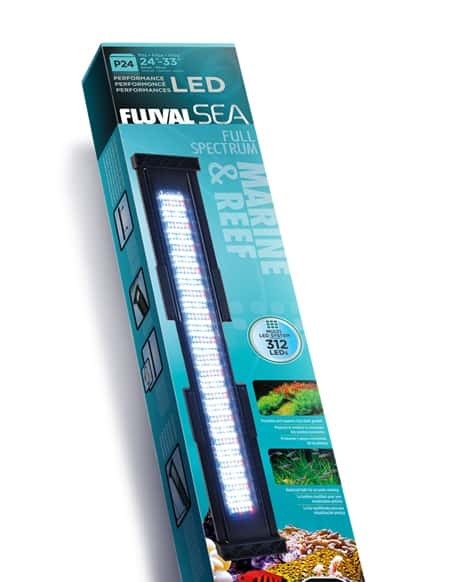 The Fluval Sea LED strip light has a switch on the side which has 3 settings which includes all LED’s on, all of them off or just having the blue LED’s on which could be great for a night/evening light. 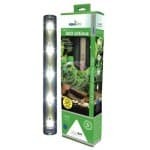 We have always sworn by the Aquaray LED lighting system for aquariums which allows the dimming of the lights to simulate duck til dawn, this option is not available for the Fluval sea LED lighting system however i do not see any reason why a DIY controller couldn’t be made or that Fluval will might bring out a controller in the future when the product is more established in the marketplace. The unit is powered by a single plug and transformer and ships with a 2m cable from the light to transformer and a 2m figure 8 cable from plug to transformer allowing for plenty of cabling options to power the lighting. We chose to plug the light in to a timer switch at the mains to ensure a consistent timing period each day which works perfectly well. 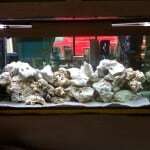 Many marine style lights i find to be very blue however the Fluval Sea Marine strip doesn’t seem to have such a blue effect so is a great fit if you want a natural looking tank, especially applicable if you are looking to use this light unit for freshwater fish as we have. Due to the number of LED’s in the strip there is a consistent level of lighting given across the whole tank and no dead spots as you might expect from the more concentrated LED’s on the market with much fewer but more powerful LED’s in them. 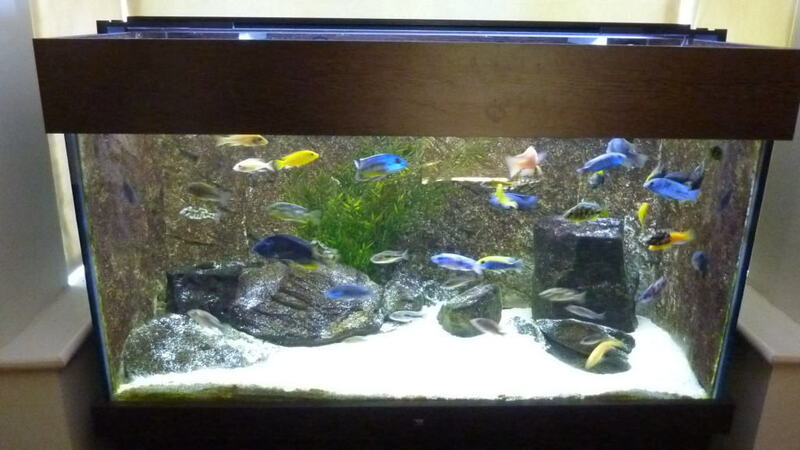 There is still the right type of lighting though to give you the much sought after natural “shimmer effect” in the tank although this isn’t quite as prominent as you would get from the more intense CREE LED’s found in other brands lighting solutions. 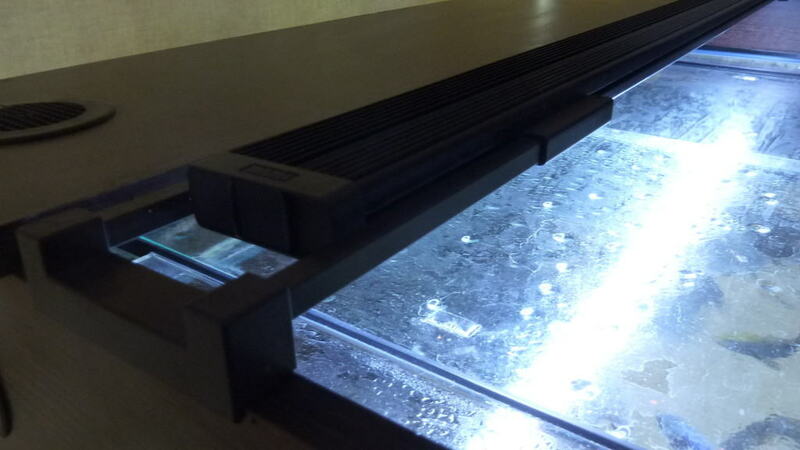 Fitting the Fluval Sea LED lighting unit to the fish tank was very simple although we would advise that you play around with exactly what height to put it at as this will make a huge difference to the final effect you can get from the light strip. 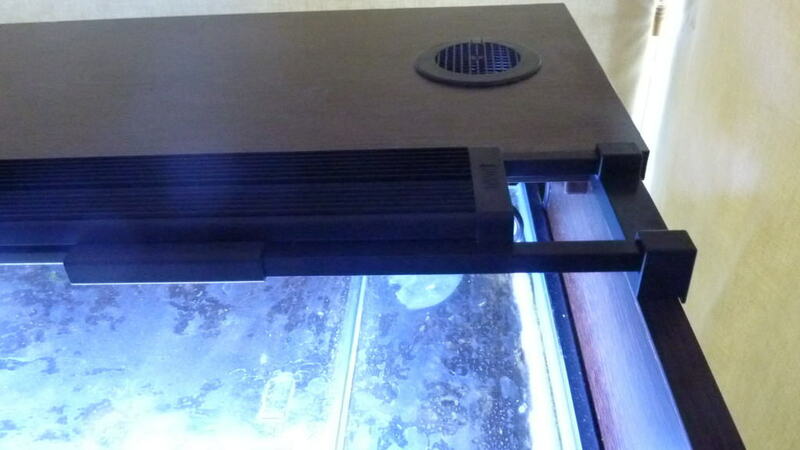 There are optional extras available from Fluval to hang the unit or to attach the unit to the hood however it comes as standard with extending sliding bars each end which will simply sit on the sides of your tank or hood. The unit itself is relatively light weight and is classed as being water proof (we didn’t submerse it to test this theory ourselves!) however have been assured it can withstand this level of abuse. The LED’s are protected underneath by a smooth flat clear plastic panel making it very easy to wide clean to ensure full effect of the light shines through whilst the top of the unit is metal and acts as a heat-sink as this unit gets relatively hot as you would imagine. In summary, the only draw back we can see is the inability to dim the lights to simulate dusk and dawn. If this feature was introduced to the unit itself or as an add on then we would class this is a must buy lighting strip for all aquarists. 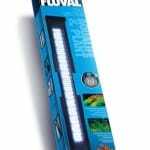 The main attraction for us of the Fluval Sea LED lighting unit is that is has the variety of different types of LED required to bring out the colours of your fish in one simple unit. For what it is and compared to similar grade lighting strips on the market it is well priced, especially when you consider the low running costs of the light strip.